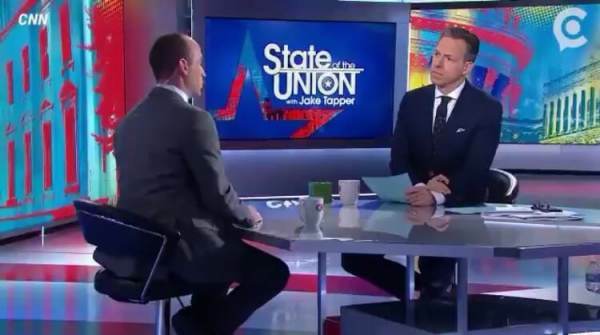 Nancy Pelosi Comes Unglued After Stephen Miller Crushes Jake Tapper - Calls Miller a "White Supremacist" Who "Must Be Removed"
Brilliant White House advisor Stephen Miller absolutely annihilated CNN’s Jake Tapper Sunday morning in a debate about Michael Wolff’s book ‘Fire and Fury’. It got so bad Tapper cut off the segment and went to commercials. Since liberals can’t debate facts, they resort to labeling Trump and his allies as white supremacists and Nazis. 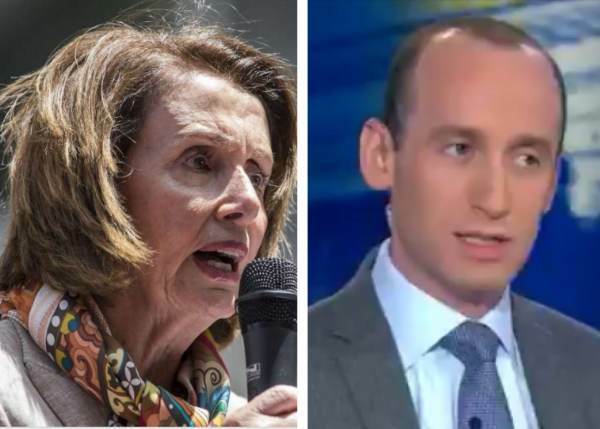 On Sunday, Nancy Pelosi immediately attacked Stephen Miller, calling him a “white supremacist” who deserves to be fired. Trump supporters responded to team Pelosi’s attack. Miller must be removed because he is standing up to the left and the media? Yea that’s why. Why because he destroyed Jake Tapper?